It's our tenth annual Mad Hatter Drive! Time to put your thinking "mad hatter hat" on and create your own very special way to do your part helping kids with cancer! 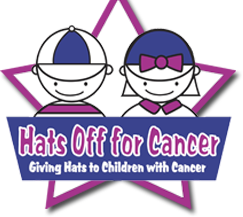 Join schools, companies, churches, organizations, sports teams and folks just like you who collected hats and donations for Hats Off For Cancer's Mad Hatter Drive to benefit pediatric cancer patients. Mad Hatter Day is 10/6 but you can hold your event anytime during the year! Please enter a value between 0 and 500. Please input the following to help us cut down on SPAM. ©2012 Hats Off For Cancer. All rights reserved.